Gibson, a £15m summer signing from Middlesbrough, suffered the initial problem in the 3-1 Europa League defeat against Olympiakos in Athens, in which he was sent off. He first went under the knife at the end of September, and was back a month later, playing 90 minutes for the Under 23s, but had complained of not feeling 100%. 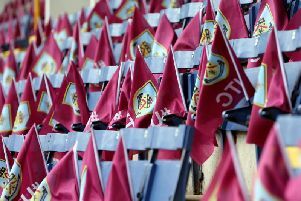 Sean Dyche said: “We thought we were close to getting everyone fit this weekend, then (Jack) Corky went down, Bardo (Phil Bardsley), Gibbo is going to have a hernia operation, and Tarky is going to see a specialist this week. “So just when we get there again, it just changes again. “We’ve got to pull it all back together and keep going forward. “Gibbo’s not been quite right, so if you’re not right, you’ve got to get it done. “It will only be keyhole, so it shouldn’t be a long one, but the same sort of thing. “Tarky will see someone this week for a similar sort of thing. The 25-year-old has only made two appearances so far this season, both in the Europa League, playing the second leg of the tie with Istanbul Basaksehir at Turf Moor, before being harshly dismissed at Olympiakos in the next round.